FK chats to Marie-Pier of one-of-a-kind Adelaide based label, Days of August. Who will also be debuting at the Melbourne Markets! Tell us a bit about Days of August and what products we can expect to discover? I would like to think of Days of August as the jewellery interpretation of the phrase: ‘One person’s trash is another person’s treasure.’ It’s all about giving new life to recycled, repurposed and reclaimed materials. I just love it – especially when the final product is a piece that either celebrates what it was before, or looks like it was made from brand new stuff. 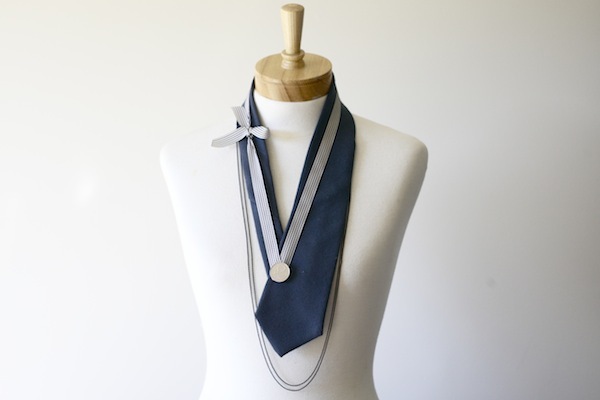 I use anything from vintage ties and fabrics to reclaimed wood and metals. And because of their recycled and unique nature, what you will find at Days of August is constantly evolving. 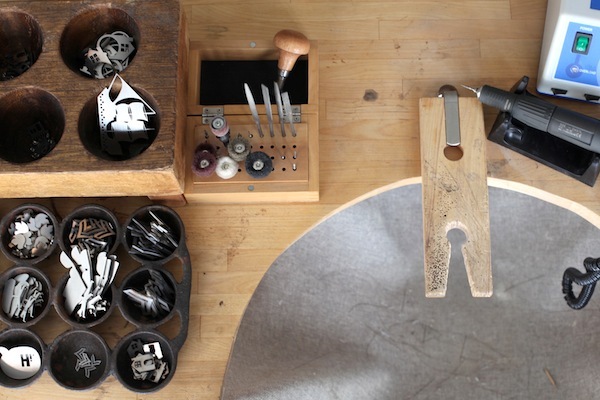 Every piece is handcrafted, and many are one of a kind. 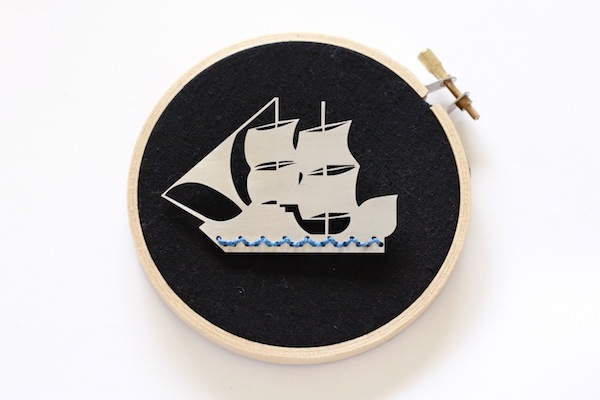 When I started making jewellery, I didn’t think I would someday have my own label. Nothing in my life had lead me to run a business. My background is in cinematography, so I I have spent the last 8 years working on feature films shot in South Australia. Making jewellery was a very needed creative outlet between shoots. I came to enjoy it so much that I enrolled in metal smithing classes at the Jam Factory and transformed our home office into my studio. As time went on, interest in my work started to grow and it slowly dawned on me that a shift in my life might be happening. It was only in early 2011 that I decided to take the leap and create Days of August. I have to admit, a lot of my designs have sprung while I have felt a bit homesick! Often, what I miss about Canada, (whether it be family, architecture, nature, history, fashion or culture) becomes the seed of a growing idea. Other times, it’s the material that will inspire the piece. That is one of the beauties of using recycled and vintage things. 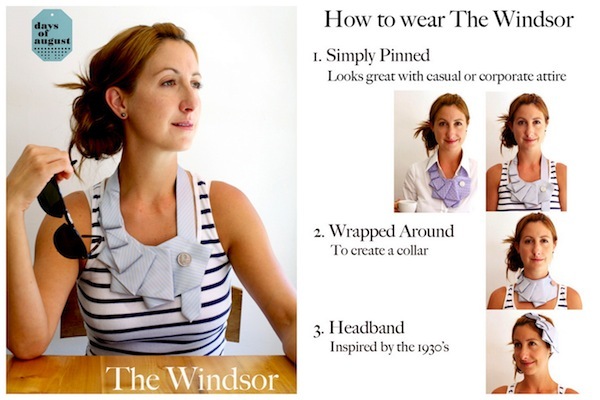 The Windsor, for example, was inspired by an old silk tie I inherited from my grandfather. I started playing around with it because I wanted to find a feminine way to wear it. Nothing motivates me more than seeing someone thinking outside the box. Witnessing innovation in any field is proof that there is no end to what the creative mind can come up with. I find that quite comforting. What do you love about living in Adelaide? and what is the design scene like? I moved from my hometown of Montreal to Adelaide in 2004. I love how this city at first glance appears so quiet and quaint, but underneath the surface, so much is happening. And to a Canadian, living right on the beach feels like being on vacation! 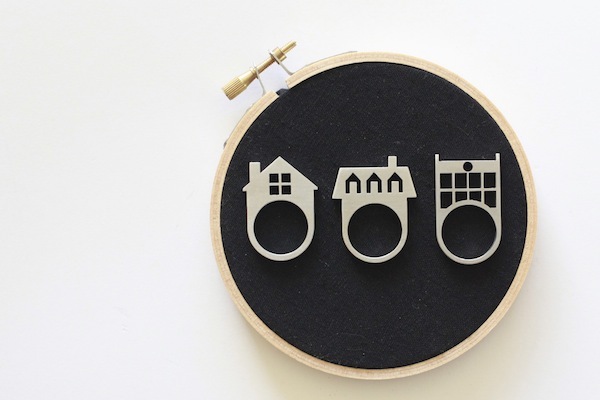 I really discovered the design scene at my first attendance at Bowerbird Bazaar last year. I knew lots of the works of local designers, and it was such a pleasure to meet them in person. I instantly felt that there is a real sense of community among them. 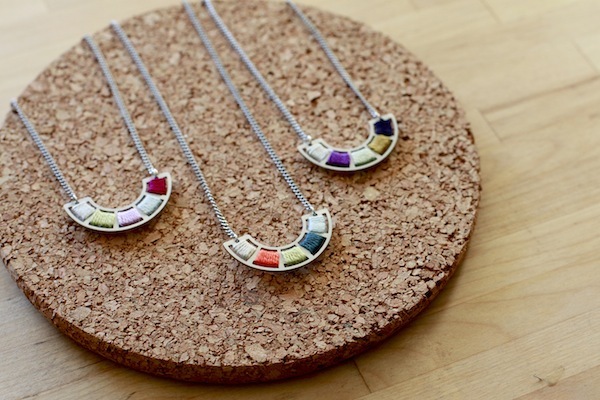 Where do you source the recycled materials for your jewellery? and are their challenges in doing so? It is not always easy dealing with materials that constantly run out! I have to keep sourcing them, and I spend a lot of time doing so. From the internet to second hand shops to estate sales, nothing is out of bounds when it comes to digging up great stuff. I also scout bigger manufacturers for offcuts, I might be able to reclaim. It can become a real challenge, because when you are a one person organization, you have to manage your time efficiently, and sourcing is not something you can always put a time frame on. I have to give myself limits. If I am looking for something I am simply not finding, I have to let it go and think of an alternative. What can we expect to see from Days of August at the upcoming Melbourne Finders Keepers? The Finders Keepers event in Melbourne in October will be the perfect platform to launch my Spring/Summer collection. 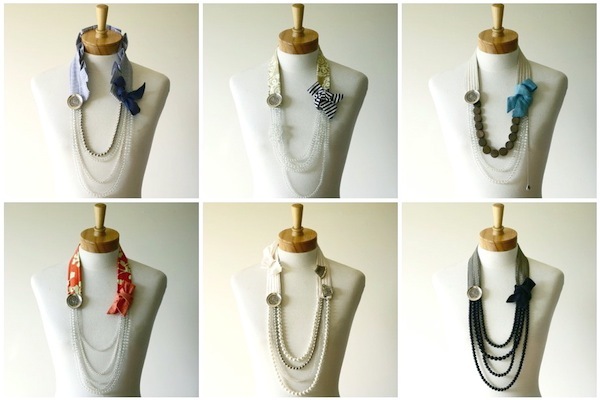 The fabric necklaces in the works are loaded with bright colors, funky patterns and asymmetrical design. 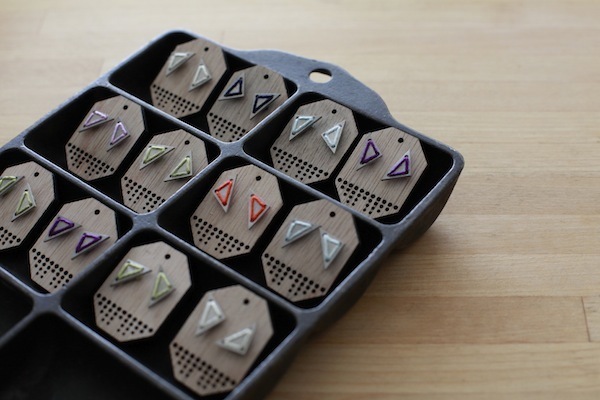 There will be a fresh new batch of tie necklaces, and I am also polishing off new necklaces, earrings and brooches that incorporate cotton stitching to stainless steel.